Brooks Painter has been a winemaker for over 30 years. His impressive resume includes positions as operations manager at Robert Mondavi Winery in Oakville and winemaker at Stag’s Leap Wine Cellars, Leeward Winery, and Felton-Empire Vineyards. 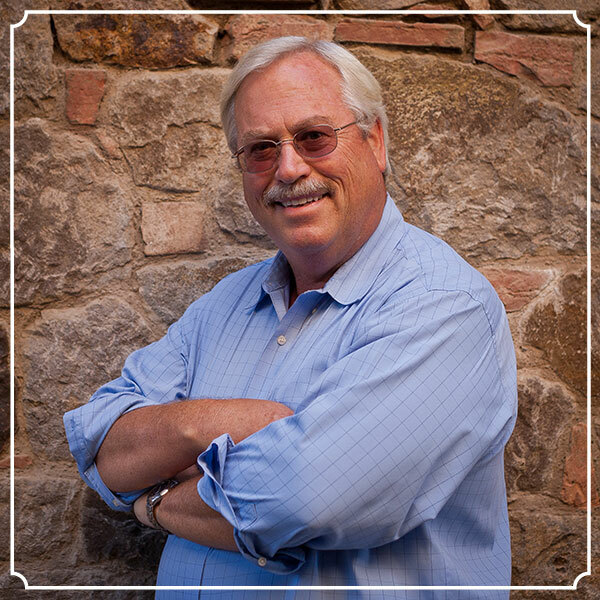 Brooks has been director of winemaking at the Castello since 2005, producing a variety of highly acclaimed 90+ point wines that have gained recognition from Robert Parker, Wine Spectator, and Wine Enthusiast. In 2014, he received the distinguished Winemaker of the Year award in the American Fine Wine Competition. He discovered his passion for wine while pursuing a bachelor’s degree in chemistry and biology from the University of California at Santa Cruz. His work has been published in The American Journal of Viticulture and Enology, Biochemistry, Practical Winery, and Wines & Vines. Brooks is a professional member of the American Society of Enology and Viticulture and a former chair of the Microbiology Committee for the California Enological Research Association. For the past 15 years, Brooks and his wife Beth have lived in Napa. They’re actively involved in the Napa Valley community, charitable organizations, and long-range public planning for local city and county government.